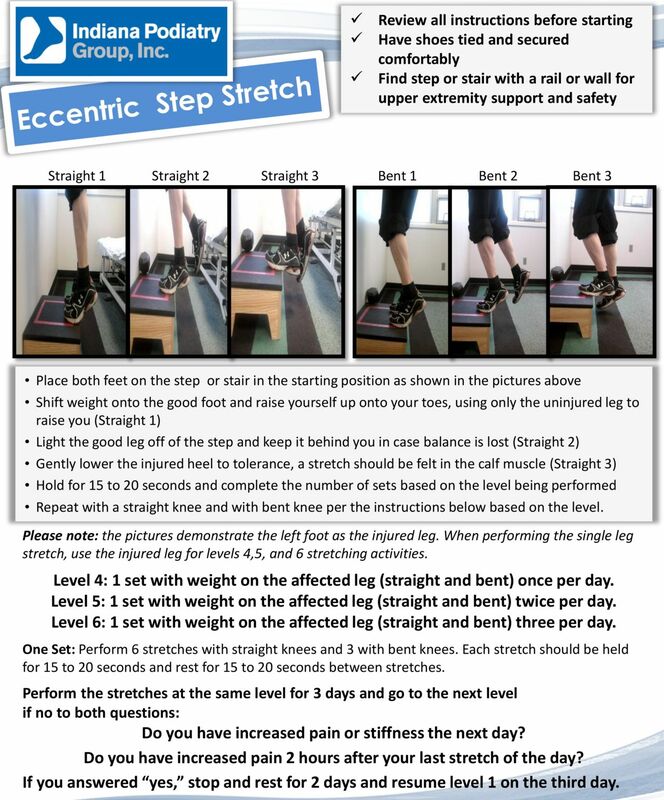 • Repeat with a straight knee and with bent knee per the instructions below based on the level. Level 1: 1 set with weight on both legs (straight and bent) once per day. Level 2: 1 set with weight on both legs (straight and bent) twice per day. Level 3: 1 set with weight on both legs (straight and bent) three per day. One Set: Perform 6 stretches with straight knees and 2 with bent knees. Each stretch should be held for 15 to 20 seconds and rest for 15 to 20 seconds between stretches. Do you have increased pain or stiffness the next day? Do you have increased pain 2 hours after your last stretch of the day? If you answered “yes,” stop and rest for 2 days and resume level 1 on the third day. Please note: the pictures demonstrate the left foot as the injured leg. 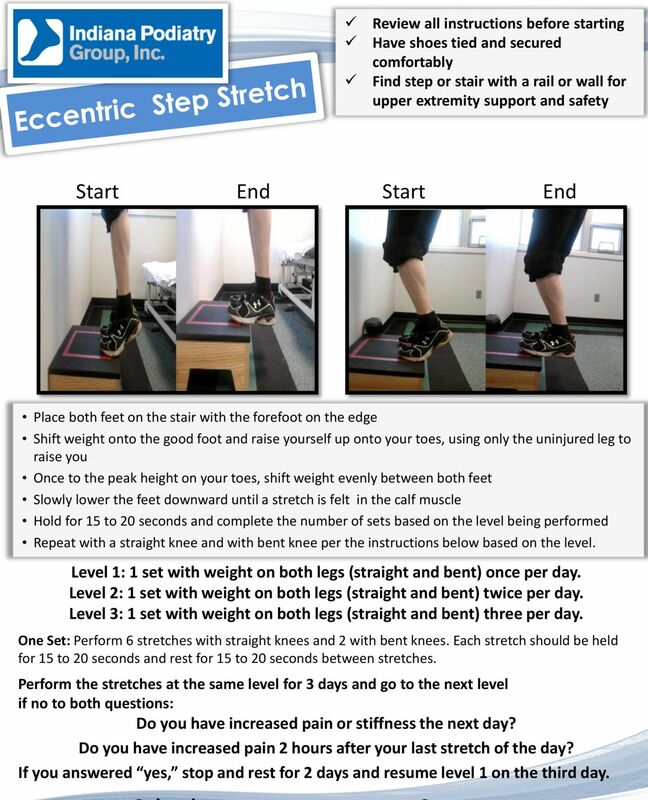 When performing the single leg stretch, use the injured leg for levels 4,5, and 6 stretching activities. Level 4: 1 set with weight on the affected leg (straight and bent) once per day. Level 5: 1 set with weight on the affected leg (straight and bent) twice per day. Level 6: 1 set with weight on the affected leg (straight and bent) three per day. One Set: Perform 6 stretches with straight knees and 3 with bent knees. Each stretch should be held for 15 to 20 seconds and rest for 15 to 20 seconds between stretches.